Dental implants are designed and performed to replace missing teeth, and this revolutionary restorative dental treatment has become a more in-demand option for restoring smiles. Dental implants are made of titanium, which are surgically positioned into the jaw to replace missing tooth roots in order to place bridges or crowns. The materials used in dental implants are completely biocompatible. This means that they are accepted by the body without causing any harm. Dental implants are used to replace the gaps caused by one or several missing teeth. Your dental professional at United Smiles will provide you proper recommendation on what type of dental implant replacements are suitable for your case. The first step in the dental implant procedure involves initial consultation, followed by x-rays and study models. After careful considerations and discussions, your dentist will prepare and present a treatment plan with its corresponding costs. 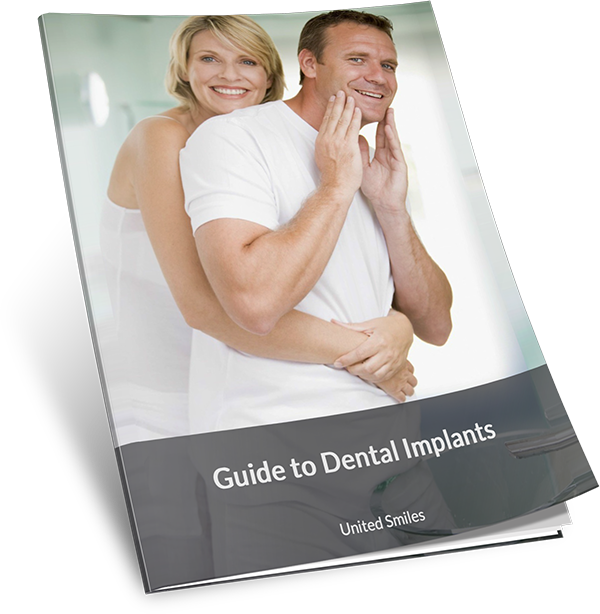 Once it’s been established that you’re a good candidate for dental implants, the treatment proper may begin. After preparing the area that requires an implant, your dentist will surgically install the titanium implants into the jaw. Osseo-Integration will usually take about four to six months. Thus, a temporary tooth restoration will be placed until the area is ready for the permanent one. The last step involves prosthetic placement of tooth. The dentist will expose the implant, and take impressions of it. Then, they will create a model upon which your new dental crowns or bridges are based. Given that the implants are integrated into the jawbone, your new replacement tooth will look, feel and function just like your natural tooth. If you have missing teeth, don’t delay your visit to the dentist. Tooth loss can lead to more serious oral and health concerns. It doesn’t only affect your dental aesthetics due to the embarrassing gap in your smile, missing teeth can also result in issues in speaking and eating. Aside from this, tooth loss can eventually weaken your jaw, which causes bone loss in this area and cause facial deformity. That’s why your trusted Mernda dentist at United Smiles strongly suggest getting Dental Implants as soon as possible to prevent all these health risks. If you are looking for reliable dental practice with highly skilled dentists to perform the implant procedure, you have come to the right place. United Smiles is a busy, modern and patient-oriented practice comprised of dedicated and experienced dental professionals. Our modern facilities enable us to complete to most thorough and up to date dentistry available. We provide best-quality dental implants in Mernda and perform top-notch restorative dental treatment procedures. United Smiles is the best place for transforming and restoring smiles. With our team, you are in good hands. Claim Your FREE Dental Implants Consultation Today! To claim your offer call us on (03) 8682 8658 or make an appointment online.